This is a list of military installations owned or used by the United States Armed Forces currently located in the United States and around the world. This list details only current or recently closed facilities; some defunct facilities are found at Category:Closed military installations of the United States. The United States is the largest operator of military bases abroad, with 38 "named bases"[note 1] having active-duty, National Guard, reserve, or civilian personnel as of September 30, 2014. Its largest, in terms of personnel, was Ramstein AB, in Germany, with almost 9,200 personnel. [note 2] The Pentagon stated in 2013 that there are "around" 5,000 bases total, with "around" 600 of them overseas. War Reserve Stocks are located in many foreign states. Pine Gap - Joint Defence Facility Pine Gap (JDFPG), Alice Springs, Northern Territory. Naval Communication Station Harold E. Holt - located on the northwest coast of Australia, 6 kilometres (4 mi) north of the town of Exmouth, Western Australia. Robertson Barracks - located at RAAF Base Darwin, Northern Territory. Australian Defence Satellite Communications Station - located near Kojarena 30 km east of Geraldton, Western Australia. There are approximately 5,500 U.S. Special Operations Forces in Iraq, spread across 7 different facilities, and another 5 bases in Iraqi Kurdistan, being used as training bases for Iraqi and Kurdish forces. The U.S. operates drone bases from three locations across Niger. These locations are also staffed by several hundred U.S. Special Operations Forces in a non-combat role, aiding the Nigerien military with training and surveillance. According to the Head of the Syrian Arab Republic delegation to Astana talks the US presence in Syria is illegal and "without the consent of (the) government". Umatilla Chemical Depot – now closed, since its mission in chemical warfare is over. The Dimona Radar Facility is an American-operated radar facility in the Negev. As of 2012, it is staffed by approximately 100 US military personnel. Marine Corps Base Camp Smedley D. Butler, Okinawa. Note: these camps are dispersed throughout Okinawa, but still under the administration of the MCB complex. ^ a b "Department of Defense / Base Structure Report / FY 2015 Baseline" (PDF). Retrieved October 10, 2016. ^ "Blank Spots on the map: Almost all the U.S. Army's secret military bases across the globe revealed on Google and Bing". dailymail.co.uk. 15 December 2013. Retrieved 2 February 2018. ^ "US to Set Up 5 Military Bases in Iraqi Kurdistan Region". farsnews. 18 July 2016. ^ "US military constructing new base in Iraq's Kurdish region: Report". presstv. 22 August 2017. ^ "بالانفوغراف.. تعرف على الجنود والقواعد الامريكية في العراق" (in Arabic). alsumaria. 8 February 2018. ^ a b c Müller-Jung, Friederike (November 23, 2016). "US drone war expands to Niger". Deutsche Welle. An additional US base in Arlit, about 250 kilometers (155 miles) north of Agadez, has been operating for about a year, but little is known about it, Moore said, except that special forces are presumably stationed there. ^ Raghavan, Sudarsan; Whitlock, Craig (November 24, 2017). "A city in Niger worries a new U.S. drone base will make it a 'magnet' for terrorists". The Washington Post. ^ Taub, Ben (January 28, 2018). "Ben Taub on Twitter: "Secret military base near Arlit, Niger, revealed as a white dot in a sea of black, because Western soldiers didn't turn off their Fitbits". Twitter via the Internet Archive. Archived from the original on January 28, 2018. ^ Lewis, David; Bavier, Joe. Boulton, Ralph, ed. "U.S. deaths in Niger highlight Africa military mission creep". Reuters. In missions run out of a base in the northern Niger town of Arlit and others like the one that led to the ambush of U.S. troops, sources say they have helped local troops and intelligence agents make several arrests. ^ "Russia and U.S. engage in military base race in Syria". defensenews.com. 15 January 2018. Retrieved 2 February 2018. ^ "Anadolu Agency's map of U.S. bases in Syria infuriates The Pentagon". orient-news.net. 20 July 2017. Retrieved 2 February 2018. ^ @obretix (June 27, 2018). "pictures of C-17 Globemaster and C-130J Hercules at the airfield between Tell Tamr and Tell Baydar in northern Syria www.dvidshub.net/image/4509040 geolocated wikimapia.org/#lat=36.706791&lon=40.513265&z=14&m=b … (farm in the background wikimapia.org/#lat=36.711194&lon=40.513769&z=17&m=b …)" (Tweet). Archived from the original on June 29, 2018 – via Twitter. ^ "US forces in Syria seen setting up new front-line positions". apnews. 4 April 2018. ^ "US Changes Plan of Building Air Base in Syrian Kurdistan". basnews. 9 April 2016. ^ Cenciotti, David (June 27, 2018). "Here Are The First Photographs Of U.S. Air Force C-17 and Marine Corps KC-130J Operating From New U.S. Airfield in Northern Syria". The Aviationist. Another U.S. airfield is located in northern Syria: Sarrin. The base was built in 2016 and the first aircraft appeared to operate from there in July 2017. ^ Szoldra, Paul (August 8, 2018). "Exclusive: The Insider Attack In Syria That The Pentagon Denies Ever Happened". Task & Purpose. Archived from the original on August 9, 2018. ^ Samir [@obretix] (August 8, 2018). "picture of "some of the Marines of Weapons Co., 2/7, in Syria" from taskandpurpose.com/syria-insider-attack/ … geolocated to administrative and housing complex at Omar oil field wikimapia.org/#lat=35.076769&lon=40.590958&z=17&m=bs …" (Tweet). Archived from the original on August 9, 2018 – via Twitter. ^ Weiss, Caleb (July 24, 2018). "Shabaab releases photos from inside joint US-Somali-Kenyan base". Long War Journal. The joint Somali-Kenyan-US base in Bar-Sanguuni is the same base in which a US Special Forces soldier was killed in early June. ^ DIANE Publishing Company (1 October 1995). Defense Base Closure And Realignment Commission: Report To The President 1995. DIANE Publishing. p. 123. ISBN 978-0-7881-2461-7. ^ "DDJC - Sharpe" (PDF). Superfund. Environmental Protection Agency. October 2003. Archived (PDF) from the original on 15 June 2015. Retrieved 13 June 2015. ^ Dawn Bohulano Mabalon (29 May 2013). Little Manila Is in the Heart: The Making of the Filipina/o American Community in Stockton, California. Duke University Press. p. 233. ISBN 978-0-8223-9574-4. ^ Carol A. Jensen (2006). Byron Hot Springs. Arcadia Publishing. p. 104. ISBN 978-0-7385-4700-8. ^ "Historic Posts, Camps, Stations, and Airfields, Tracy Facility, Defense Distribution Depot San Joaquin". californiamilitaryhistory.org. The California State Military Museum. Archived from the original on 13 March 2018. Retrieved 11 September 2018. ^ "Delaware National Guard 2011 Lottery for the Use of the Bethany Beach Training Site" (PDF). Delaware National Guard. Archived from the original (PDF) on 16 May 2011. Retrieved 25 August 2011. ^ Kimmons, Sean (November 27, 2017). "Isolated from US military, small Army post looks to rid terrorism in West Africa". Army News Service. ^ Vick, Karl; Klein, Aaron J. (2012-05-30). "How a U.S. Radar Station in the Negev Affects a Potential Israel-Iran Clash". Time. ISSN 0040-781X. Retrieved 2018-10-27. ^ "NSA Annapolis". cnic.navy.mil. Retrieved 20 February 2019. ^ a b USAF move out of Mildenhall delayed by two years, BBC News. Retrieved 6 August 2018. Laming, Tim (2000). UK Airports and Airfields. Ramsbury, UK: Airlife Publishing (Crowood Press). ISBN 1-85310-978-9. 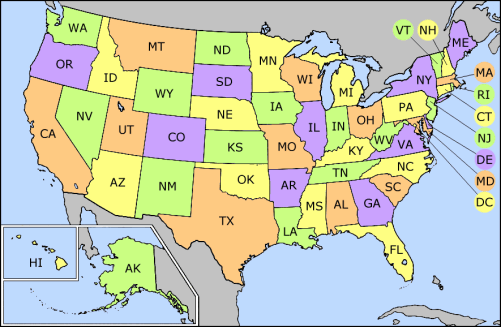 Wikimedia Commons has media related to Military bases of the United States.